Summer is going buy so fast this year and the rain has been overwhelming. I have finished my treatments and feeling great once again. Our plan is to support 3 Aleethia Dinners and then with mixed emotions - close our doors end of October. Our ten year journey has been so rewarding; providing smiles and healing through flowers to our wounded warriors. 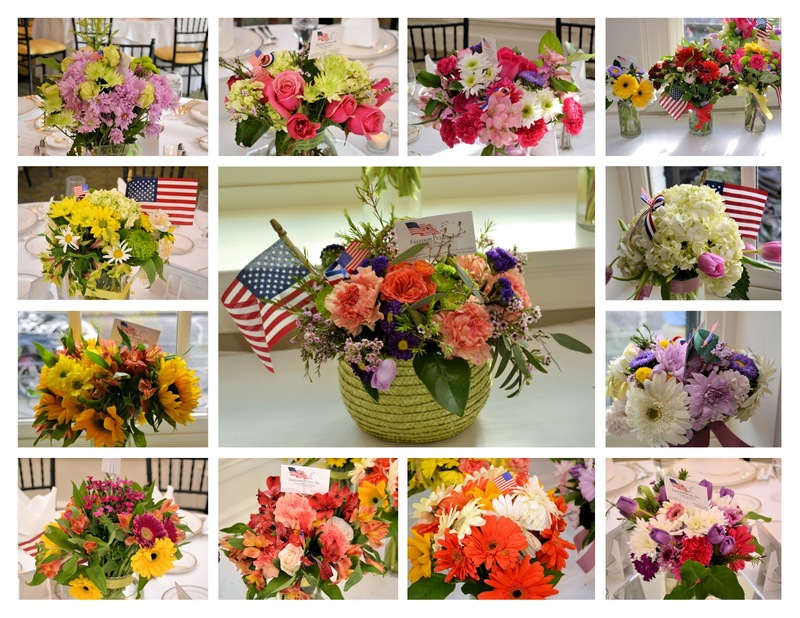 We started at Walter Reed Army, then supporting Walter Reed National Military Medical Center, added Aleethia Foundation Dinners, Fisher Houses and then Boulder Crest Retreat in Bluemont, Va. We created flowers for warrior weddings, retirements and funerals. Our venues changed but our mission never faltered from bringing joy to our hero's and dedicated veterans! 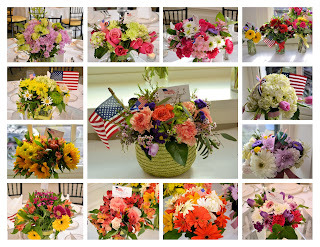 Freedom Petals couldn't exist without the creativity and hard work of our partners (Herndon Florist, Trader Joes) and our many volunteers. Thank you so much for giving us your precious talents and time. Next event is Friday, 24 August! Michele- I am glad you are feeling better, but wistful to learn Freedom Petals will be closing it's florist refrigerator doors. You have brought so much joy and comfort to our veterans and service men and women. I am honored to have been a small part of your mission. Enjoy creating wonderful memories with your lovely granddaughter and may your health continue to improve. I attended a few company events here and I must say that I was impressed every time. The place was aesthetically pleasing with very good decorations and seats. The event venues had a great layout overall, and was at a comfortable temperature.